Would you swap your life of wealth, glitz and glamour for a life of simplicity? Ambitious Jessica Amman is looking for a breakthrough project that will catapult her to stardom. The first stint she is offered is to be a guest on the show, â€œBe the Past Youâ€â€” which will be shown on national TV. The idea of the show is to discover the heritage of a celebrity. The celebrity has to live the way his ancestors lived for a whole month. When Jessica signed up for it, she only thought about how it would get her closer to fame and glory. 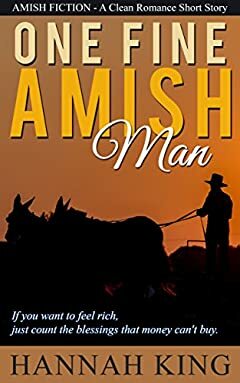 She discovers that she was an Amish. So, for 30 days, she will live the life of an Amish. However, most Amish communities do not permit any appearance on television. They do not even want to be captured in pictures, let alone videos. Jessica and the production team decide to go undercover. Then, her undercover stint leads her to Peter Shrock. His simplicity frustrates Jessica. Only when she sees the sincerity beyond his simplicity, Jessicaâ€™s heart begins to melt. Soon she falls deeply in love with him. But is she willing to trade glitz and glamour for a life with an Amish man? Find out in this captivating story today. All are easy to read, clean romances. Get yours today.